This oceanfront home is appointed with three spacious bedrooms, and two full bathrooms. It is approximately 1818 square feet of enjoyable living space. 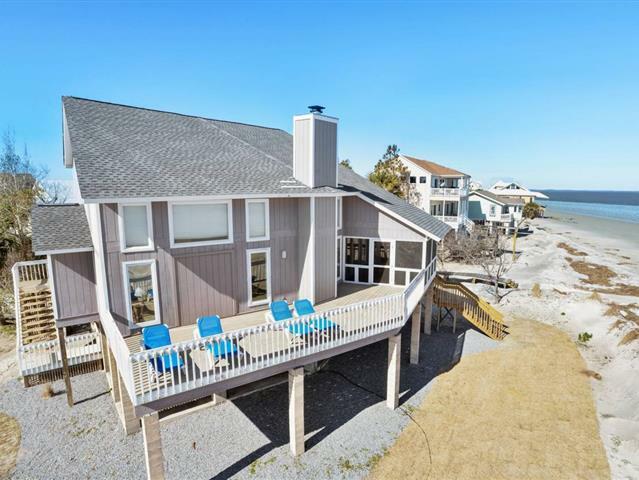 There are quality features throughout this home, which include hardwood floors, soaring ceilings, elegant fireplace, and two large decks facing the ocean. The numerous windows in every room capture the natural low country light. The view alone is astounding. Admire it from the open deck while soaking in the sun, or take it easy on the screened porch after a long day. The private boardwalk takes you right to the ocean’s edge. The home is situated on approximately .3 acres. It is not far from all the wonderful amenities Harbor Island has to offer.